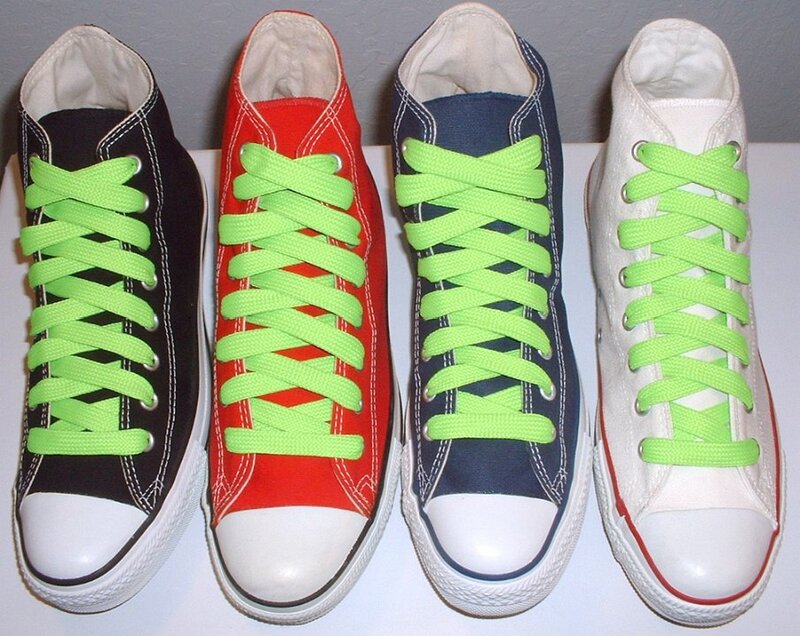 Photo gallery of fat Neon Lime, Neon Orange, Neon Pink, and Neon Yellow shoelaces on various pairs of chucks. 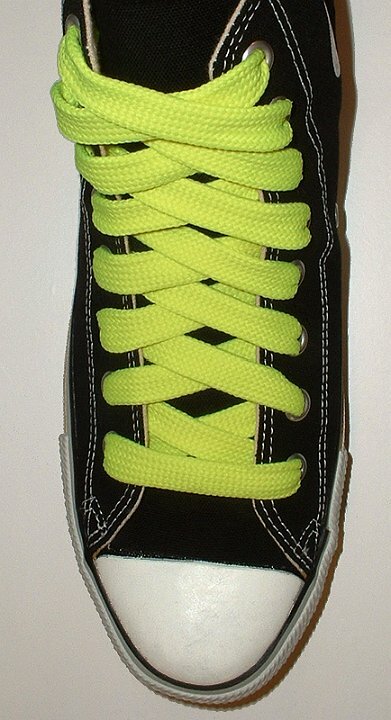 1 Neon Lime Fat Shoelaces Black high top chuck with fat neon lime shoelaces. 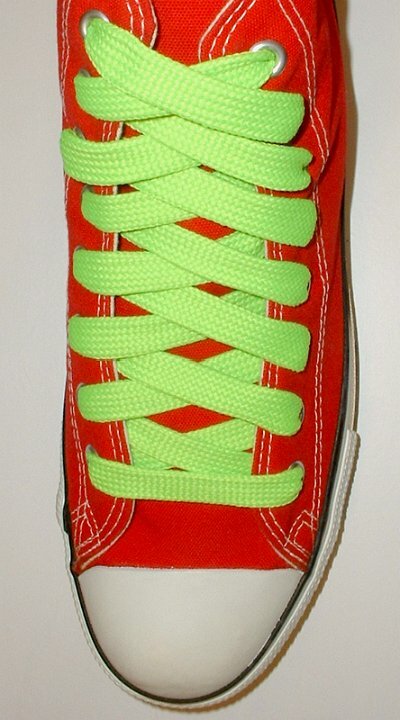 2 Neon Lime Fat Shoelaces Red high top chuck with fat neon lime shoelaces. 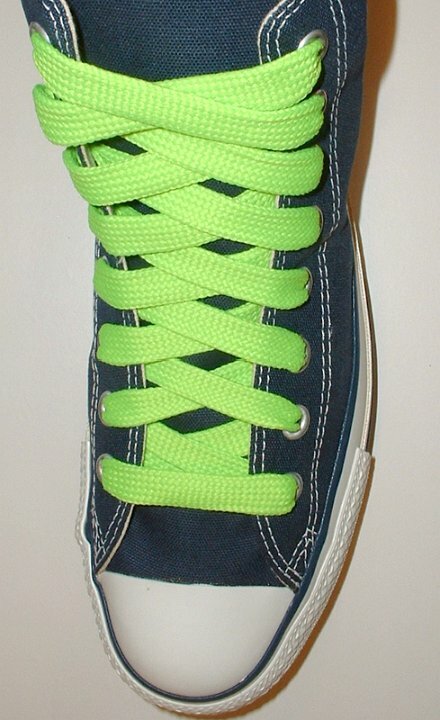 3 Neon Lime Fat Shoelaces Navy blue high top chuck with fat neon lime shoelaces. 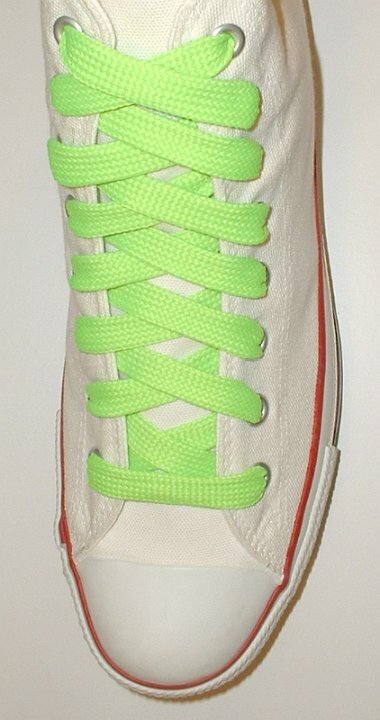 4 Neon Lime Fat Shoelaces Optical white high top chuck with fat neon lime shoelaces. 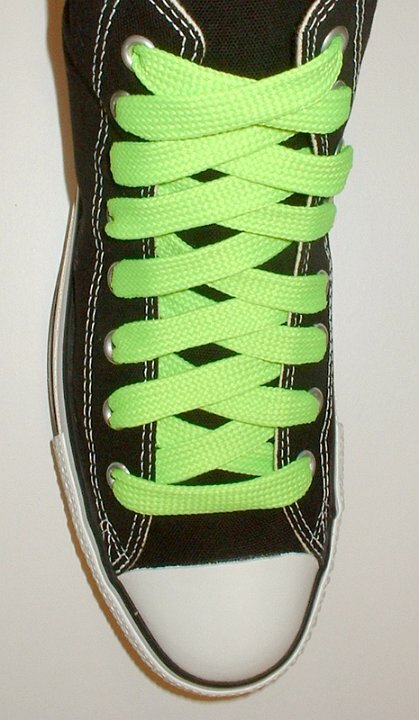 5 Neon Lime Fat Shoelaces Core color high top chucks with fat neon lime shoelaces. 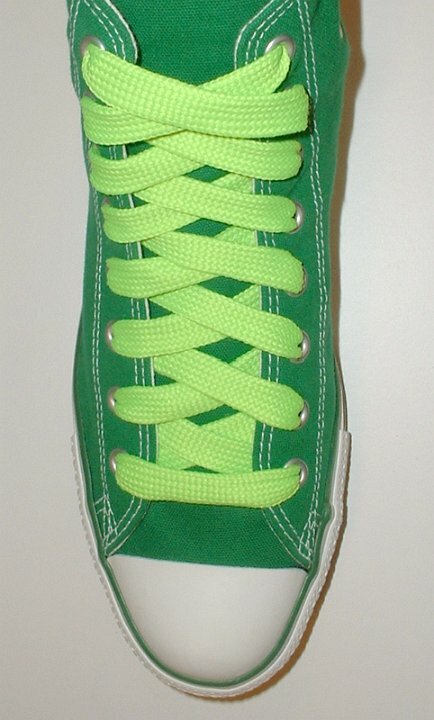 6 Neon Lime Fat Shoelaces Bright green high top chuck with fat neon lime shoelaces. 7 Neon Lime Fat Shoelaces Olive green and orange rolldown high top chuck with fat neon lime shoelaces. 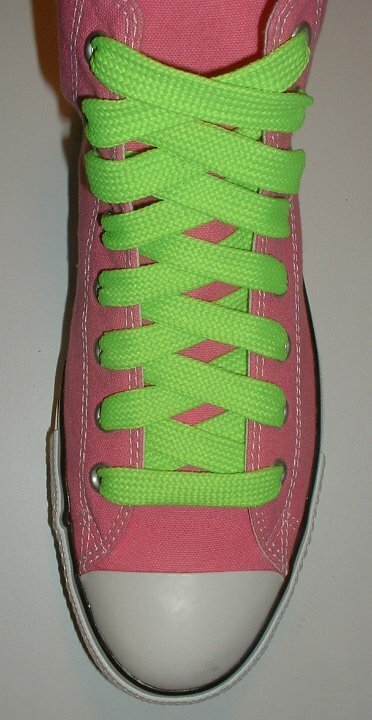 8 Neon Lime Fat Shoelaces Pink high top chuck with fat neon lime shoelaces. 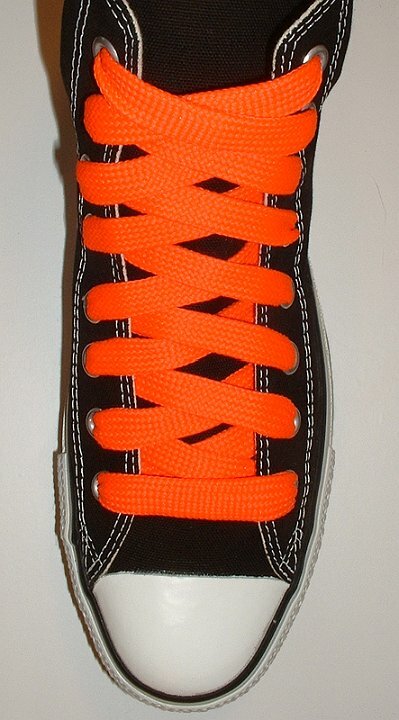 9 Neon Orange Fat Shoelaces Black high top chuck with fat neon orange shoelaces. 10 Neon Orange Fat Shoelaces Red high top chuck with fat neon orange shoelaces. 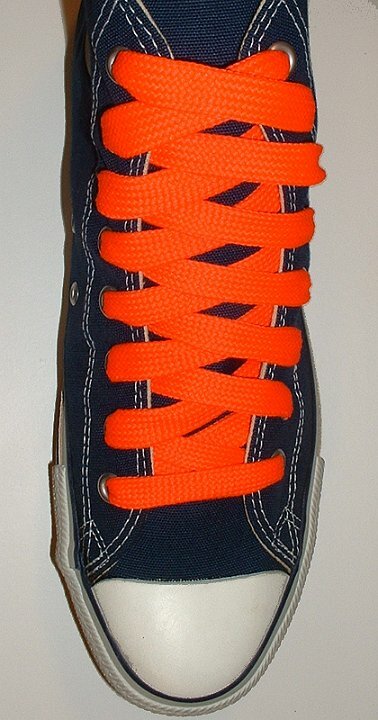 11 Neon Orange Fat Shoelaces Navy blue high top chuck with fat neon orange shoelaces. 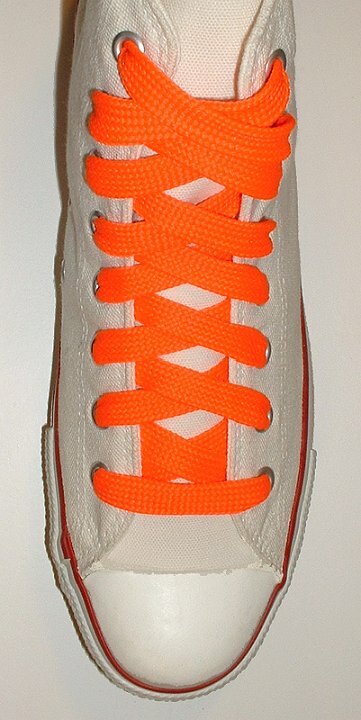 12 Neon Orange Fat Shoelaces Optical white high top chuck with fat neon orange shoelaces. 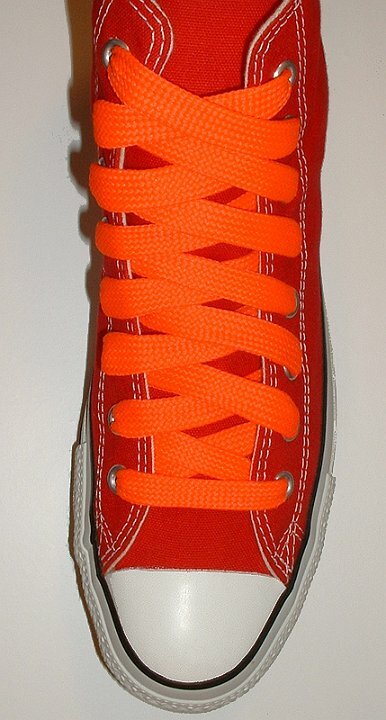 13 Neon Orange Fat Shoelaces Core color high top chucks with fat neon orange shoelaces. 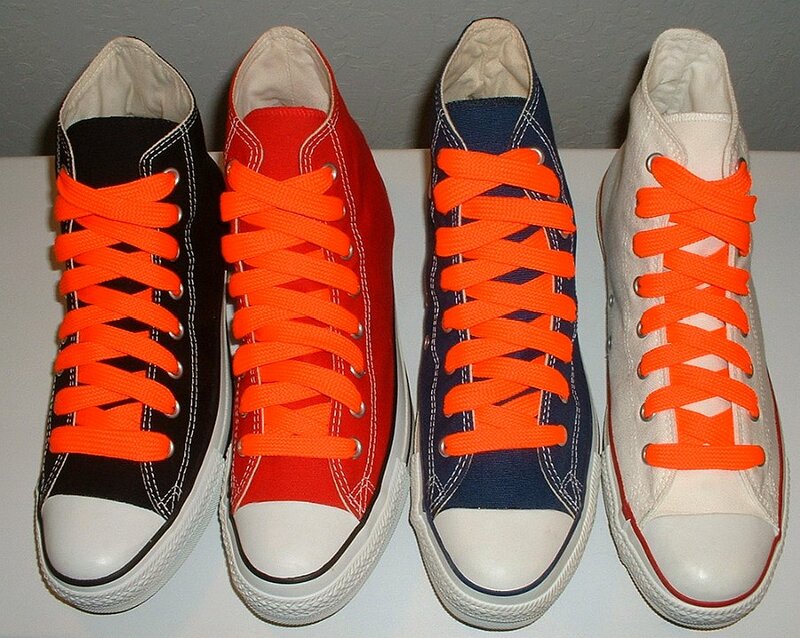 14 Neon Orange Fat Shoelaces Olive green and orange rolldown high top chuck with fat neon orange shoelaces. 15 Neon Orange Fat Shoelaces Orange high top chuck with fat neon orange shoelaces. 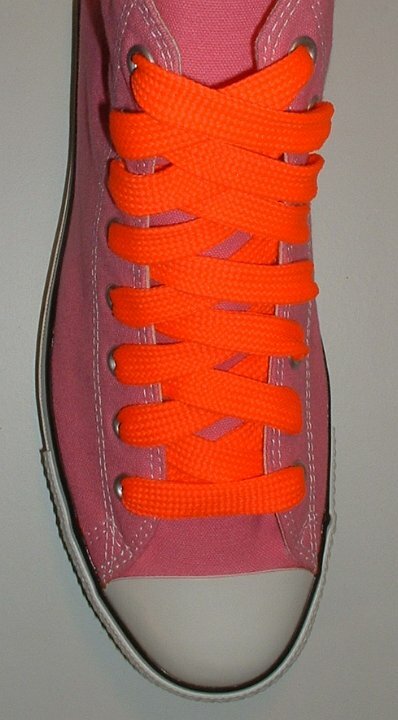 16 Neon Orange Fat Shoelaces Pink high top chuck with fat neon orange shoelaces. 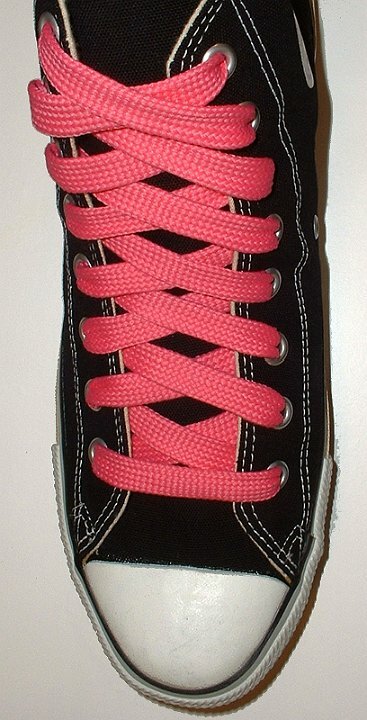 17 Neon Pink Fat Shoelaces Black high top chuck with fat neon pink shoelaces. 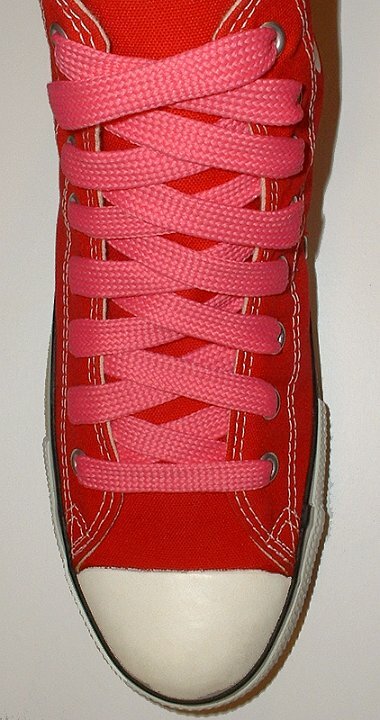 18 Neon Pink Fat Shoelaces Red high top chuck with fat neon pink shoelaces. 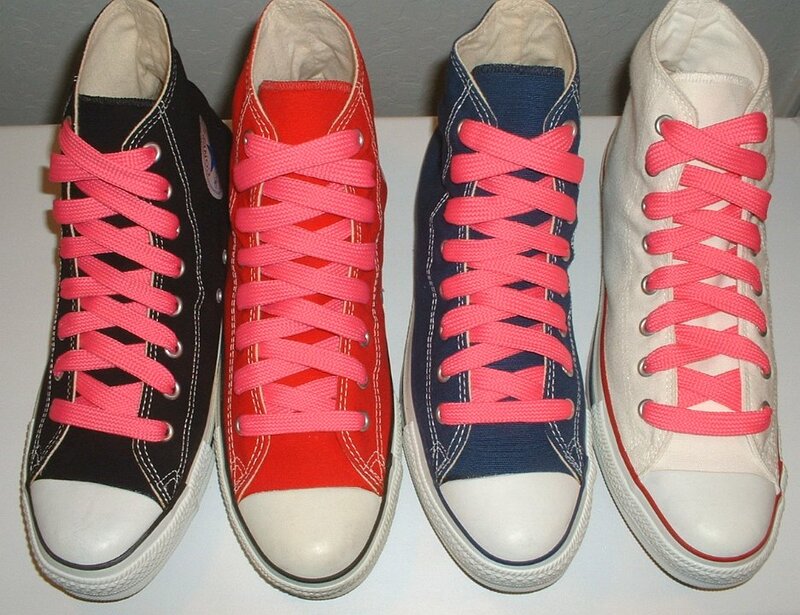 19 Neon Pink Fat Shoelaces Navy blue high top chuck with fat neon pink shoelaces. 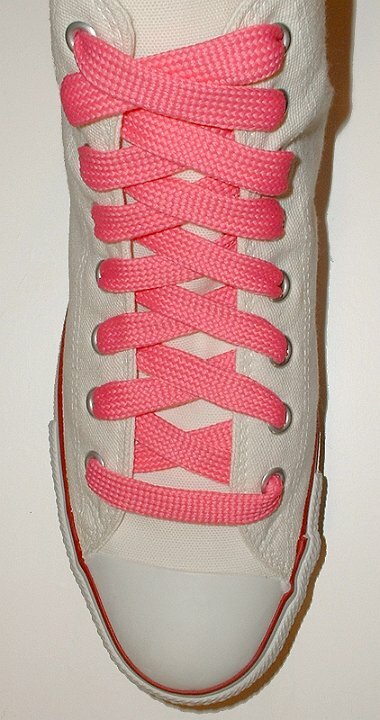 20 Neon Pink Fat Shoelaces Optical white high top chuck with fat neon pink shoelaces. 21 Neon Pink Fat Shoelaces Core color high top chucks with fat neon pink shoelaces. 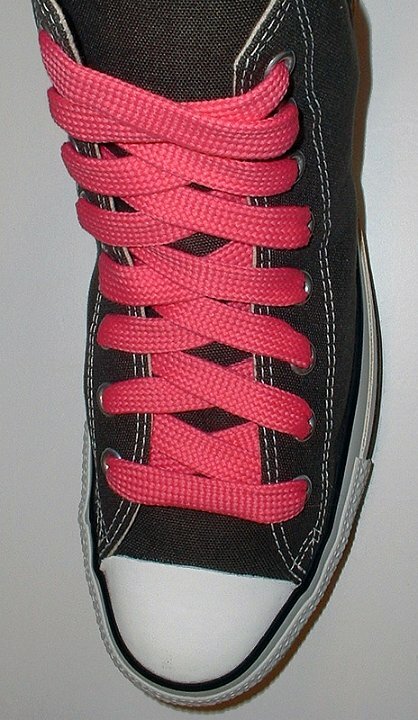 22 Neon Pink Fat Shoelaces Charcoal grey high top chuck with fat neon pink shoelaces. 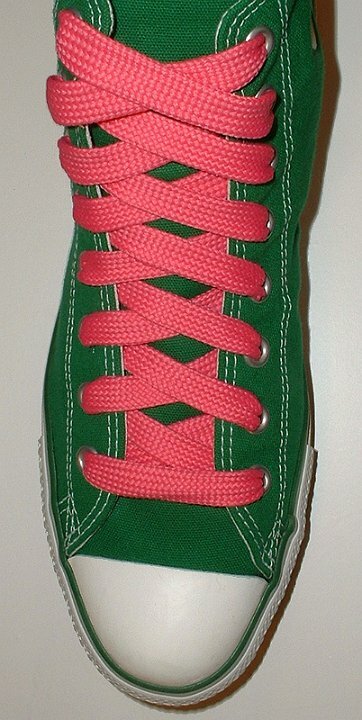 23 Neon Pink Fat Shoelaces Bright green high top chuck with fat neon pink shoelaces. 24 Neon Pink Fat Shoelaces Pink high top chuck with fat neon pink shoelaces. 25 Neon Yellow Fat Shoelaces Black high top chuck with fat neon yellow shoelaces. 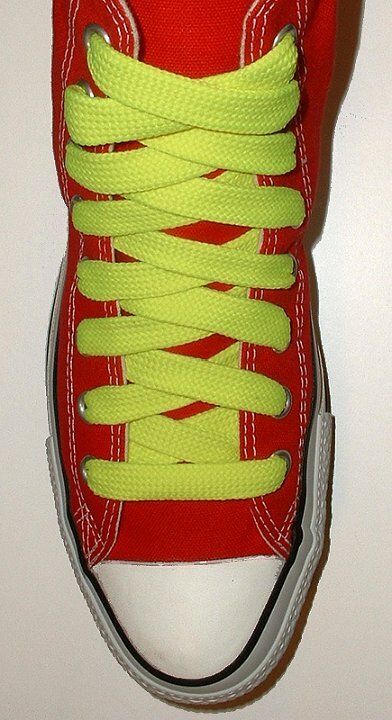 26 Neon Yellow Fat Shoelaces Red high top chuck with fat neon yellow shoelaces. 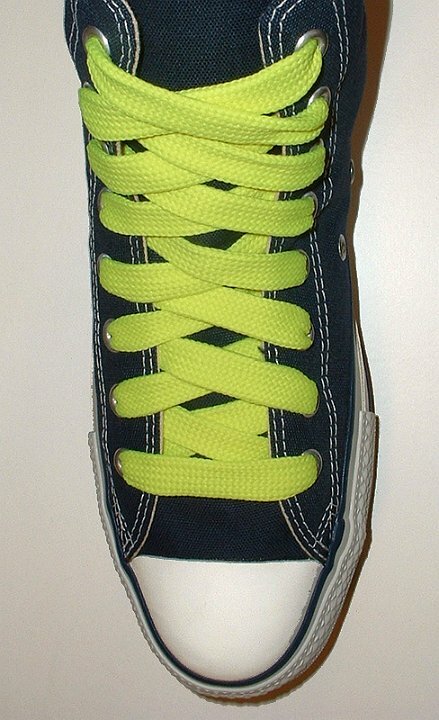 27 Neon Yellow Fat Shoelaces Navy blue high top chuck with fat neon yellow shoelaces. 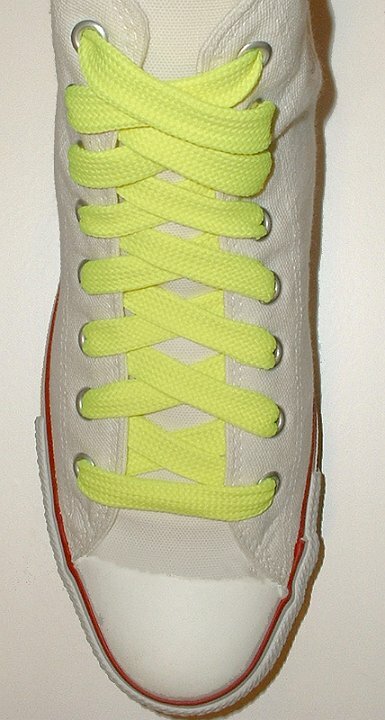 28 Neon Yellow Fat Shoelaces Optical white high top chuck with fat neon yellow shoelaces. 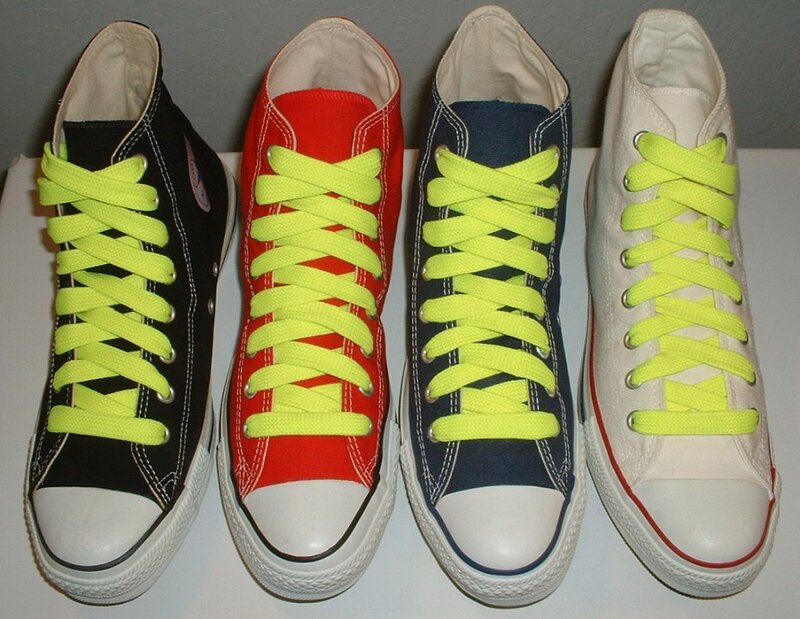 29 Neon Yellow Fat Shoelaces Core color high top chucks with fat neon yellow shoelaces. 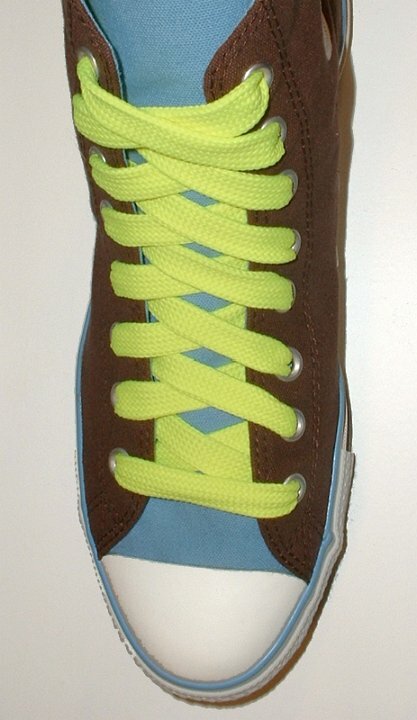 30 Neon Yellow Fat Shoelaces Brown and Carolina blue high top chuck with fat neon yellow shoelaces. 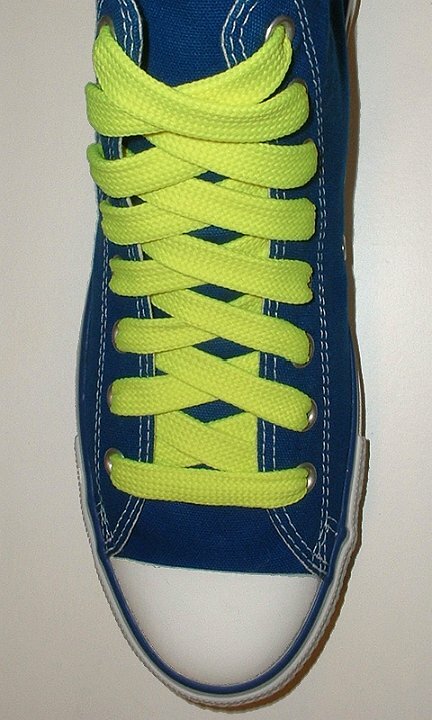 31 Neon Yellow Fat Shoelaces Royal blue high top chuck with fat neon yellow shoelaces. 32 Neon Yellow Fat Shoelaces Pink high top chuck with fat neon yellow shoelaces.